So many of our customers use their golf carts a ton during the golf season that they don’t want to part with their carts for updates during the best time of the year … we love seeing carts in the winter to get updates! 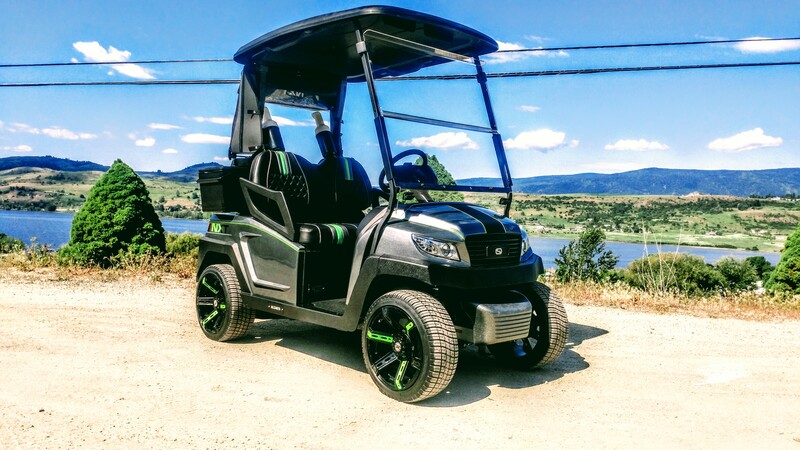 This next cart has come in a few times for cool upgrades, last year we added gorgeous custom upholstery, trim package, and more, and this year, it was time for new shoes, new Gel batteries, LED head light, USB charging receptacle, SC Carts custom floor mat, as well as some other goodies! Check out the transformation! We installed brand new Gel batteries along with this onboard charger! Here it is all finished up and charging, we even installed a set of our custom armrest hand wraps for some extra style and comfort! Time to detail it and get it back to our customers home! This cart has had an amazing transformation and is going to really be turning heads up at Predator this up coming season!